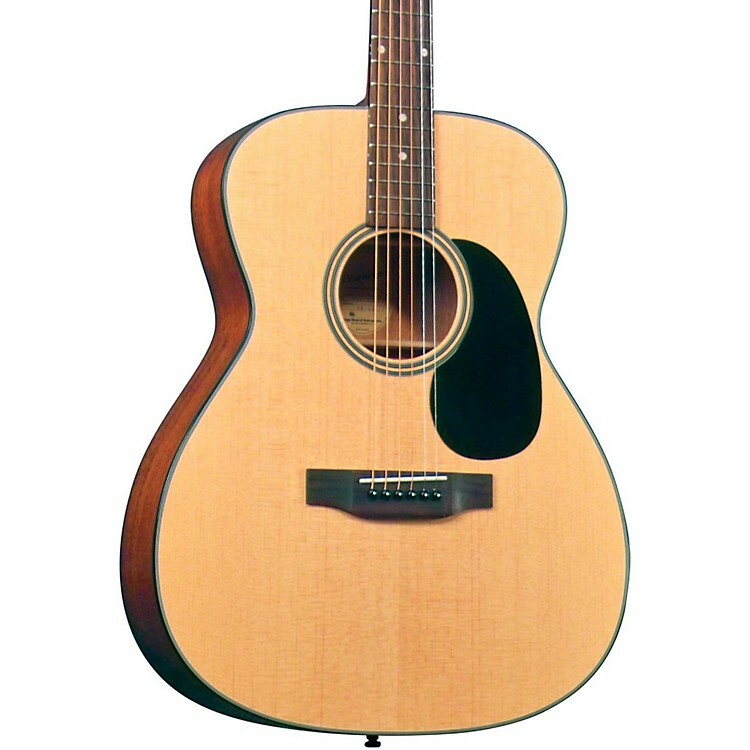 The Blueridge BR-43 acoustic guitar delivers super-traditional sound and feel with a modern look and low price. Even at this price point, the Blueridge guitars are crafted with a solid spruce tops, hand-carved braces, mahogany backs and sides, and have a traditional dovetail neck joint usually found on more expensive acoustic guitars. It has beautiful pearl inlay work on the headstock and a 000-sized body and slim mahogany neck making the Blueridge BR-43 guitar easy to play.